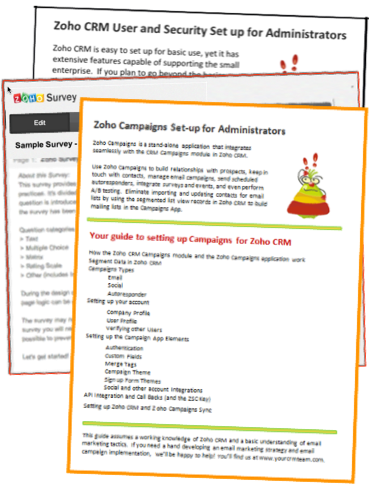 Set up Zoho Campaigns and start marketing more effectively. Easily build polished Surveys to learn more about your market and customers. Understand Zoho Roles and Profiles to take Zoho CRM to a new level.